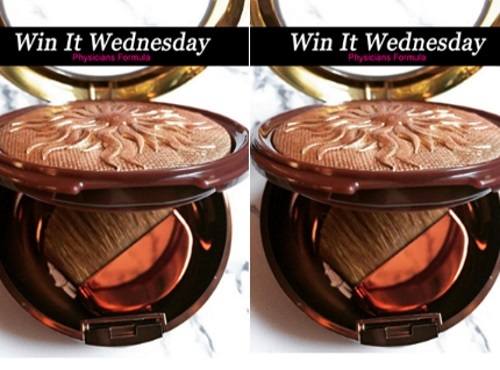 Every Wednesday, Physicians Formula has a Win It Wednesday giveaway on their Facebook page! Look for the specific post on their page to enter each week! This week they are giving away a Bronze Booster Airbrushing Bronzer Veil. To enter, just like the post in the link below, comment with your response to the question they ask in the post. Contest closes September 7, 2016. The giveaway is only open today!